A well-balanced wine with the lively, crisp character one expects, while gooseberry, pineapple and grapefruit flavours make this white a perfect apéritif or accompaniment to white fish, seafood risotto or fresh asparagus. Wine of Marlborough, New Zealand. 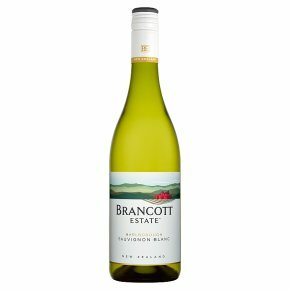 Award Winning Premium white wine from Marlborough, New Zealand has sweet ripe fruit characters with a delightful mix of citrus, floral, pear and tropical fruit and a crisp nettle highlight, making it perfect for dinner parties and BBQ's. Our story began over 40 years ago with a bold idea to plant vines in Marlborough, New Zealand. At the time, the South Island was considered too cold to grow grapes, but we challenged this thinking and planted the very first Sauvignon Blanc vines in Marlborough. It was this pioneering spirit that led to something spectacular; the distinctive and vibrant expression of Sauvignon Blanc now loved the world over.